Ah, the rite of spring called the Masters. Each April for much of the nation it marks the beginning of the golf season…that is, if unlike this year it doesn’t snow. 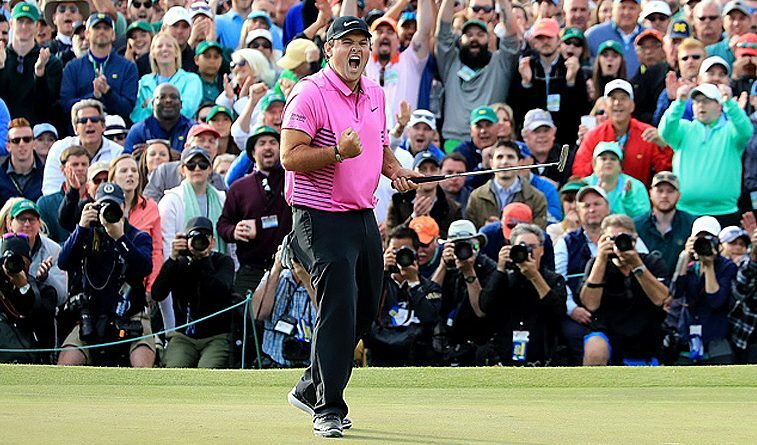 Patrick Reed handily beat the field and fought off charges from Rickie Fowler and Jordan Spieth to win his first major championship and add more luster to his nickname Captain America; a tag earned through his play on the USA Ryder Cup team. Annually the tournament teaches and often reteaches certain lessons and here are five takeaways that seem important the day after the Masters concluded. 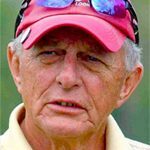 Those pundits who say the way to shoot low scores at Augusta National is that hitting fairways is essential and the secret to scoring is putting and that greens in regulation will pave the road to success. The problem is, though these are important, none were the determinant for Reed. Par 5 scoring is the key. Reed finished at minus 15 and was 13 under par on the par 5s. Think about that a minute—it goes beyond putting, GIR, fairways hit and merges all of them into what really matters…score. Rickie Fowler who finished in second one stroke back at minus 14 was nine under on the par 5s, Jordan Spieth at minus 13 was 12 under par on the three-shoters and Jon Rahm in fourth at minus 11 was minus 11 for his 16 par 5s. Do you detect a pattern? The point is the par 5s at Augusta are reachable by a large portion of the field and with Reed almost exactly in the middle of the field for driving distance scoring came down to a combination of factors. First was hitting greens meant to take wedge shots with longer clubs often from over 200 yards and then putting effectively for birdies and eagles. Reed did both the best. Reed is 27 years old, Rickie Fowler is 29, Spieth 24 and Rahm only 23 plus don’t forget the current major champions are all under 30. There’s no doubt this group of winners will continue to be a factor at Augusta for years to come and let’s not forget Rory McIlroy who is 28, Justin Thomas 24 and world number one Dustin Johnson who is not an old man at 33. The next few years are going to be very interesting. Tiger Woods finished 16 strokes behind Reed and never was a factor but for the first two rounds while fans still held out hope he would be, ESPN viewership was up a staggering 46 percent over last year. Insiders attribute the greatest portion of the increase to Woods appearance for the first time since 2015. Of course, it also didn’t hurt that another fan-magnet Phil Mickelson played well, at least in the Thursday round. Before last Thursday did anyone have Patrick Reed even in their top ten? His best finish this season had been a tie for second at the Valspar Championship and he had missed five cuts in 14 events. His record at Augusta was less than inspiring with a missed cut in 2017 and a best-ever finish of T-22 in 2015, his first Masters. Ten appearances in majors prior to this Masters Reed’s best-ever was a tie for twelfth in the 2016 British Open. This was his fifth win on Tour, but he has been on two winning Presidents Cup team and one winning Ryder Cup team. Maybe there is something to this Captain America stuff. It’s not going to happen probably, but it would be nice to have more TV coverage, so players other than the leaders and Tiger can get some air time. The reason CBS focuses, especially on Sunday on the last few groups, is the eventual winner can be covered (and should be covered) shot by shot. But among players going off in the early groups for the fourth round there were some good stories as well as such names as Vijay Singh, Fred Couples, Bernhard Langer, amateur Doug Ghim and Phil Mickelson. Too bad but a couple of more hours Saturday and Sunday wouldn’t hurt. Moving to something that can be fixed is more use of Toptracer on tee shots. The only tees covered this year were the ninth, tenth and fifteenth but with so many trees and hills it could be nice on every tee. Plus, since the media has limited media access inside the ropes, we seldom know which clubs were used from the fairway for approaches. That’s interesting information and would materially make the coverage more enjoyable. The takeaways from this year’s Masters are virtually the same as last years and the year before, etc. Scoring requires hanging tough on the par 3s and par 4s and then go get ‘em on the par 5s. That’s not the case with other majors and regular stops on the Tour since those courses don’t usually have Augusta National’s super wide fairways and lack of penal rough. We also have the good fortune of being able to watch the young players who are now dominating the game for years to come at the Masters with maybe even some fireworks from the likes of Mickelson and Woods. But the most import thing to remember is the Masters retaught us to not think it is possible to pick a winner.